Almost everyone has some lawn jealousy. Most people tell us that they look at their neighbor’s yard and see that the grass is always greener on the other side of the fence. Well, this does not have to be the case if you follow some of our best tips for prepping your yard and doing the proper sort of lawn care. Even if you hire a company like ours whose goal is to make your yard look as amazing as it can look, you will want to do all you can to supplement our work. It’s a team effort to ensure that you reach a lush and grassy nirvana. Not only will you enjoy it but it will add to your front curb appeal and will transform your back yard into a lovely place where you and your family can hang out. So, keep reading our blog and find out what tips can make this happen. Also, feel free to give us a call today to put your Lubbock lawn care needs into the hands of trained professionals who want the best for you and your landscaping and lawn needs. 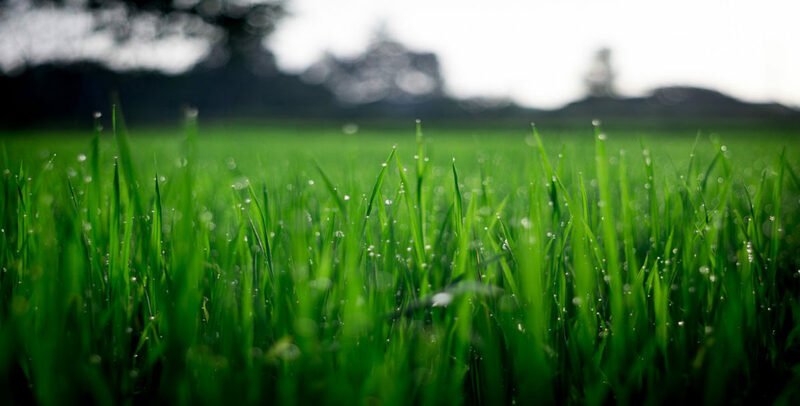 Thatch is another name for dead or dying grass blades and even though having a little bit of it can be good for your lawn, too much of it cause a problem – too much thatch can suffocate your lawn. For warm-season grasses, early spring is the perfect time to rake away this mess that can encourage pests and disease. An intense removal of thatch can be rough on your lawn, so make sure you do it at the beginning of a growth period so your lawn can recover properly. For heavy thatch removal consider a power rake. This is what our company uses to dethatch a lawn and it is very effective. But that doesn’t mean you cannot help the process while we are away. You can use a strong, stiff yard rake to pull this debris out and away from your growing lawn.